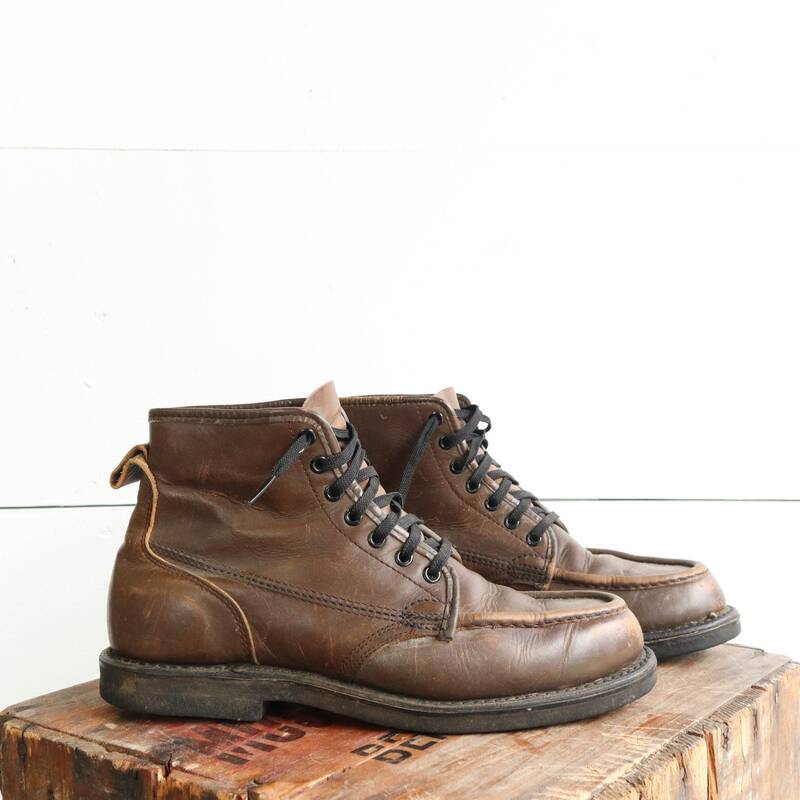 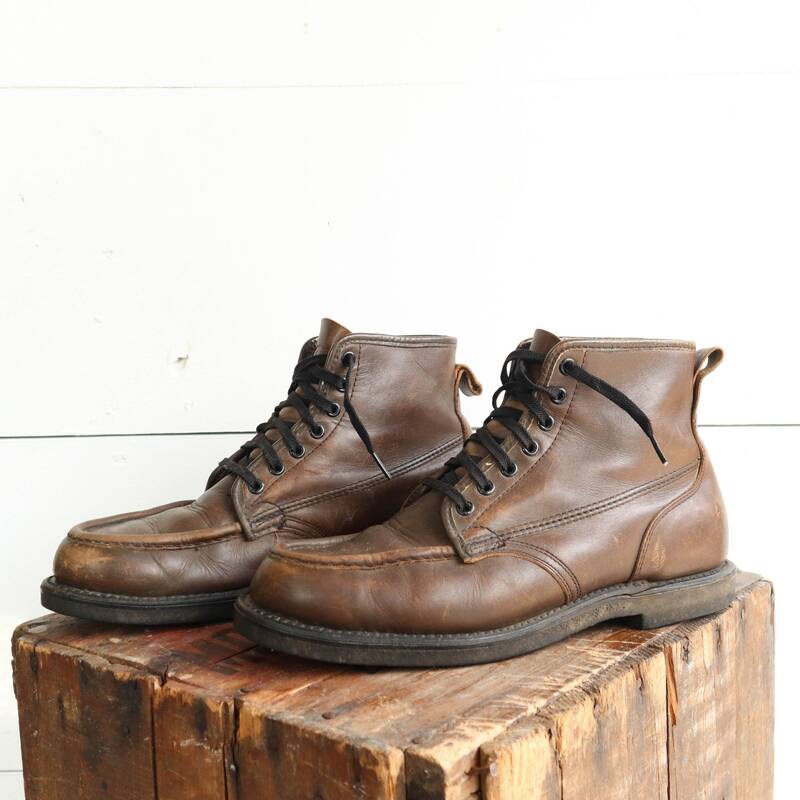 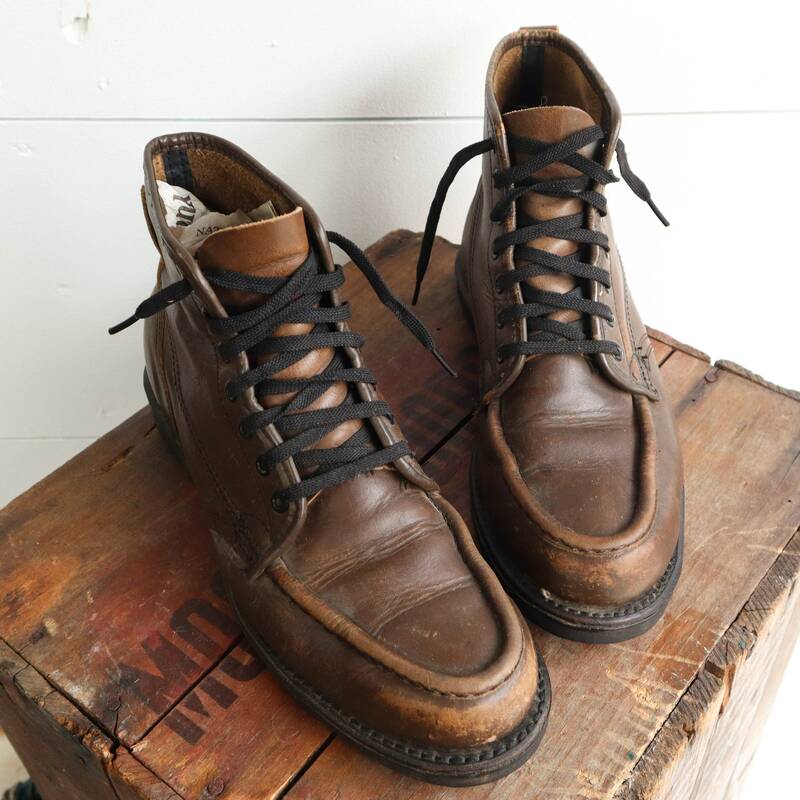 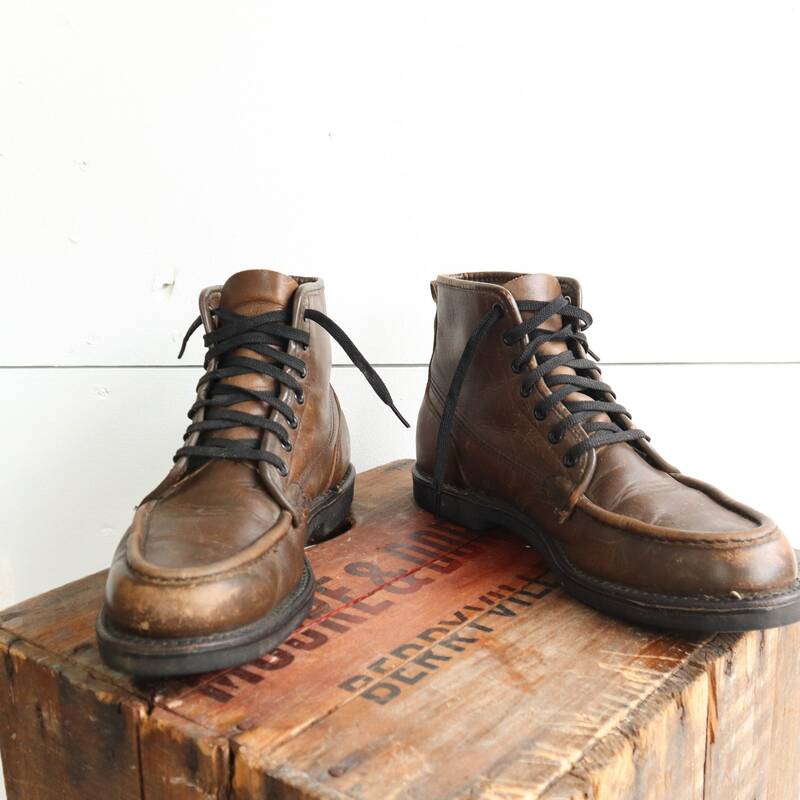 The mens moc toe work boots are a shorter style in dark brown leather with man made soles. 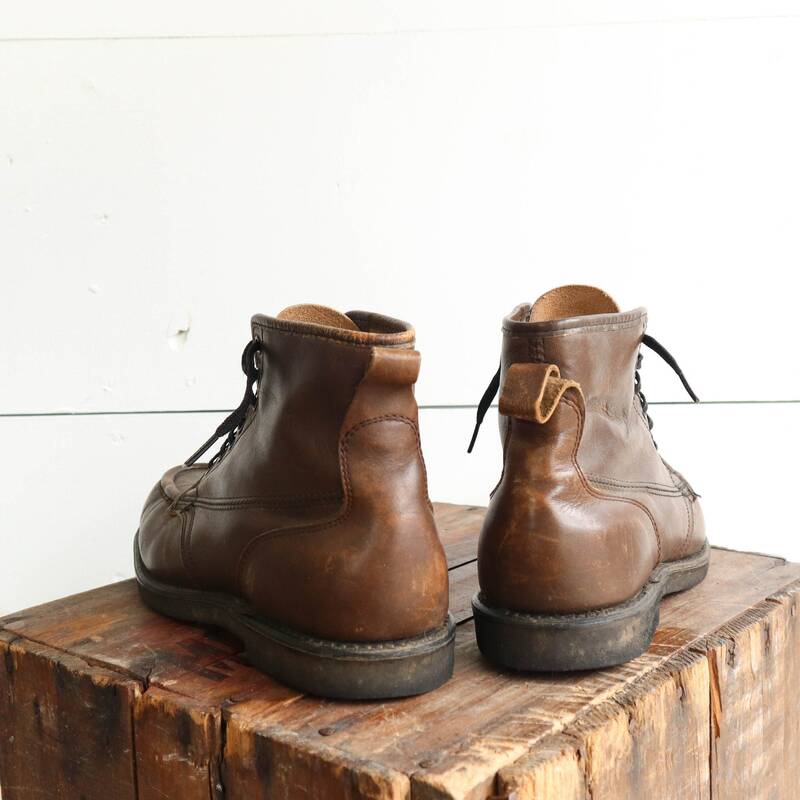 The boots are gently worn in, good shape overall. 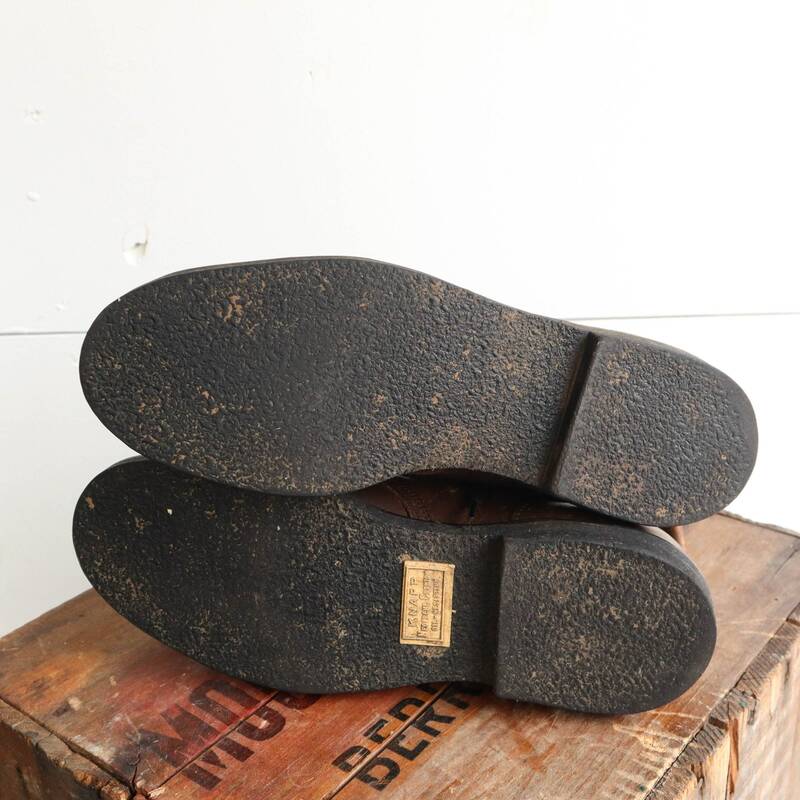 Heel - justin under 1"